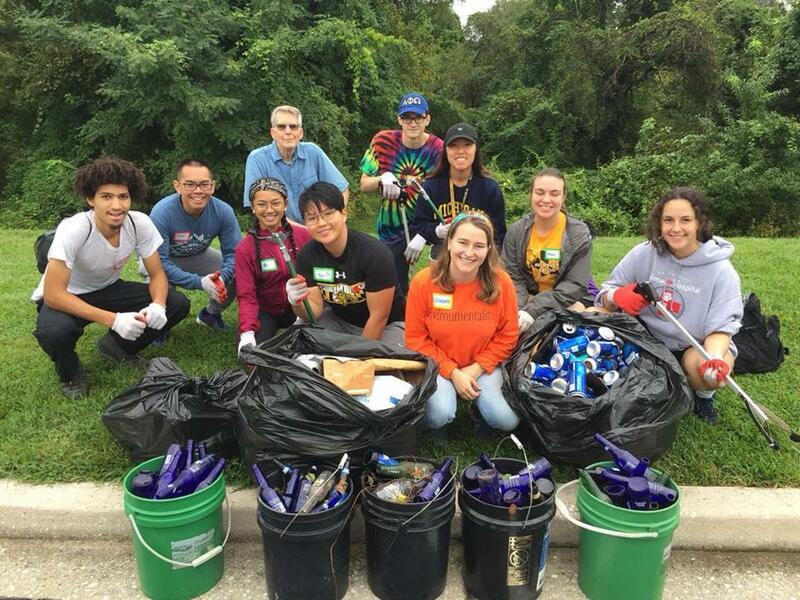 University of Maryland Baltimore County was a recipient of a 2019 Keep Maryland Beautiful Grant. Maryland Environmental Trust (MET), a unit of the Maryland Department of Resources, has awarded 71 grants totaling $215,505 toward environmental education, community cleanup and beautification projects through the Keep Maryland Beautiful program. These annual grants are funded by Maryland Environmental Trust, the Department of Housing and Community Development (DCHD) and the Maryland Department of Transportation (MDOT). “These grants are a great way for MDOT to partner to protect and restore the Chesapeake Bay watershed while meeting Marylanders day-to-day transportation needs,” said MDOT Secretary Pete K. Rahn. Recipients included schools, nonprofit groups, municipalities and land trusts in fifteen counties and two major urban municipalities, Baltimore City and Washington, D.C. Many of these grants focus on developing and supporting communities, families, youth and students who take personal responsibility for the health of their communities, protecting nature in their backyards and seeking ways to help reduce or resolve environmental challenges. One Aileen Hughes award totaling $5,000, awarded to an individual representing a Maryland land trust for outstanding leadership, partnership and innovation in a conservation project. The grant is awarded to the Maryland land trust in recognition of the individual’s efforts and good work. The grant is given annually to honor the late Aileen Hughes, a true leader in the conservation movement. Five Bill James Environmental Grant awards totaling $4,250, given in honor of Senator Bill James who drafted legislation creating the Maryland Environmental Trust and incorporated the activities of the Governor’s Committee to Keep Maryland Beautiful. 48 Clean Up & Green Up Maryland awards totaling $158,005. This grant was established in 2017 to help community groups and nonprofit organizations statewide with neighborhood beautification activities that include litter removal, greening activities, community education, and citizen stewardship statewide. 10 Janice Hollmann Grant awards totaling $40,000, given to Maryland land trusts to increase capacity, support community programing and innovation and foster stronger, better connected land trusts. All grants require a 100 percent match from the land trust of in-kind services and privately raised funds. The grant is given in memory of Janice Hollmann, who exemplified citizen leadership of local land trusts in Maryland. Seven Margaret Rosch Jones awards totaling $8,250. The Margaret Rosch Jones Award is given in honor of the first executive director of the Keep Maryland Beautiful Program. These grants are awarded to an ongoing project or activity that has demonstrated success in solving an environmental issue, whether local or statewide. The award recognizes organizations that have been actively educating people in their community about litter prevention, community beautification, or eliminating or reducing the causes of a local community problem. Scenic Rivers Land Trust Inc.
Baltimore Green Space: A Land Trust for Community-Managed Open Space Inc.
Westport Community Economic Development Corp.
NeighborSpace of Baltimore County Inc. Conservancy for Charles County Inc.
Main Street Middletown, MD Inc.
Takoma/Langley Crossroads Development Authority Inc.
Patuxent Tidewater Land Trust Inc.